The February meeting kicked off right on time with about 16 in attendance. Our hosts were Sheila Hoffman and Patty O’Hara. This was the first meeting for Patty as co-chair! We were fortunate to have a guest speaker, CPA Derek Morse of CPASeattle. Derek gave a brief talk about the new tax laws and when it’s time to consider becoming an S Corporation. If you are making 75k or more an S-Corp is worth considering as it can represent significant tax savings. 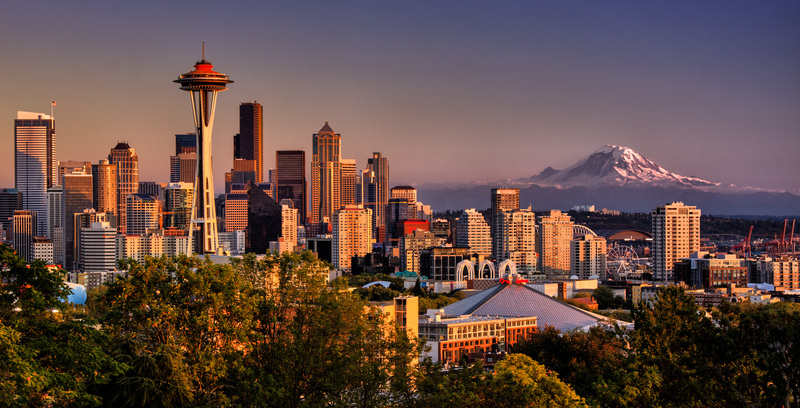 Special Note: Mark Nov 9–10 on your calendar for this year’s WordCamp Seattle. If you haven’t been before you don’t want to miss out. At $50 for two days, including lunches and swag, it is an amazing deal with tons of networking and learning opportunities. Special Note No. 2: If you, or someone you know, would like to make a presentation to the WP Community or take on a leadership role at WordCamp please email organizers@wpseattle.org and tell us more. As self-employed people, we are taxed on our net income. You pay income tax and self-employment tax (social security, Medicare)at 15%. There is a new passthrough deduction this year. The new rule is an extra 20% deduction off of your net. Check with your accountant for full details about making the most of Sect 199A and QBI (Qualified Business Income). Looking toward retirement you might consider a SEP-IRA, especially if you do not have any employees. As a small business owner using contract labor is generally better than having employees. A good rule of thumb that someone is not an employee is that they have their own business license and they also work for others. The decision to become an S-Corp is mainly around saving on self-employment tax. As an S-Corp, you would be considered an employee who receives a salary. That salary is deducted from your net profit. If you earn $100k and you pay yourself $60k you only pay tax on the remaining $40k. Again, speak with your accountant for more detail. Failure to pay, and failure to file. Failure to file is about 25% fine. Sheila suggested getting Robbin Block with BlockBeta marketing to give a talk on marketing at a future meetup. Hosting: The usual suspects were suggested including Siteground, Flywheel, and WP Engine. And don’t forget to check our WPSeattle’s Slack Channel and review the discussion thread on hosting. Bottom line, it all depends on the site and its needs. Remember that managed hosting generally does not include email services. Old link of discussion on this topic with some useful pointers. Vacations: The discussion came down to communicating well with your clients so that they know when you will be unavailable and developing a buddy system, a backup person to handle emergencies. New Client Marketing: All the old standbys were mentioned including networking meetings, word-of-mouth, listing your business on the WPSeattle business directory. Know your niche! Carefully define your market. Then answer a need. Remember to make requesting testimonials from your clients part of your routine. Ask when the project is completed, when sending the invoice, at scheduled check-ins, etc. Check out WordPress.TV to see every presentation for every WordCamp. Thanks to Todd Hagler for taking minutes.